Three years ago, Enchanted Equine was just a pie in the sky vision. 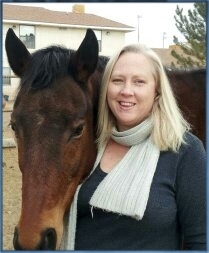 EEA had two adopted horses in the backyard, a fantastic property, a willing family and a horse lover with a dream of giving back to the Albuquerque community. Owner Kendra Loring was committed to making her childhood hobby into a successful business. Kendra started EEA with no money, no huge loans, just the support of her family and her 20 years of business management experience in retail. Kendra says, "SCORE has helped me tremendously in getting press, moving my sales forward."